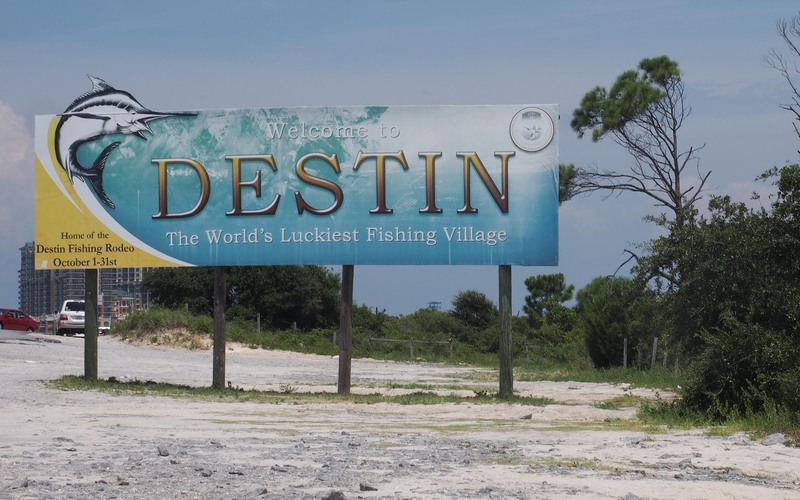 As you arrive in Destin, Florida, from the west, a sign welcomes you to the “World’s Luckiest Fishing Village.” If Destin is your final destination, you will find out, while the fishing is great, that there is much more to do here than fish. The Panhandle of Florida is a growing area for many reasons. The major reason is the convenience and accessibility of the Panhandle to the rest of the country. The guidebooks say that Destin is nearer to parts of Texas, Oklahoma, Arkansas, Missouri, Kentucky, Tennessee, North and South Carolina, Mississippi, Alabama, and Georgia, than Destin is to Key West. This area of Florida is commonly known as the Emerald Coast because of the white sandy beaches appearing green as seen through the shallow blue waters of the Gulf. Traveling to points beyond the Emerald Coast adds hours to a trip — valuable hours of soaking up the sun’s rays. Destin’s white sandy beaches are the major single attraction of the Emerald Coast.